A license must have permissions on a product feature to use it. •Select in the tree the license(s) for which you want to assign feature permissions. •Click on the Product Features permissions button. •The list on the left shows the product features available. If you've selected only one license in the tree, this list shows only features for which the license doesn't already have access. 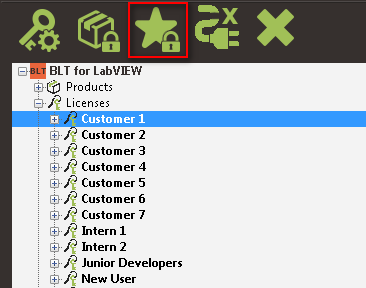 If you've selected multiple licenses in the tree, it shows all the product features. If you've selected one license in the tree, the list on the right shows the features that are currently authorized with the selected license. •Select one or more product features in a list and drag them with your mouse to the other list to change permissions. *Add to existing permissions will replace the Feature Attributes if permissions already exist.